HOW MANY REWARDS CAN I REDEEM FROM EACH PARTNER? As of April 11th, 2019, PlayStudios has updated their reward limits to involve premium and non-premium rewards. Full MGM comps are now considered premium rewards. This will be noted in each rewards terms and conditions. Players are limited to 3 premium rewards per 30 days per the terms and conditions. For rewards by MGM (or our other partners) that do not state in the Terms and Conditions “This is a premium reward”, you can redeem as many as you have the LP to purchase per the terms and conditions. 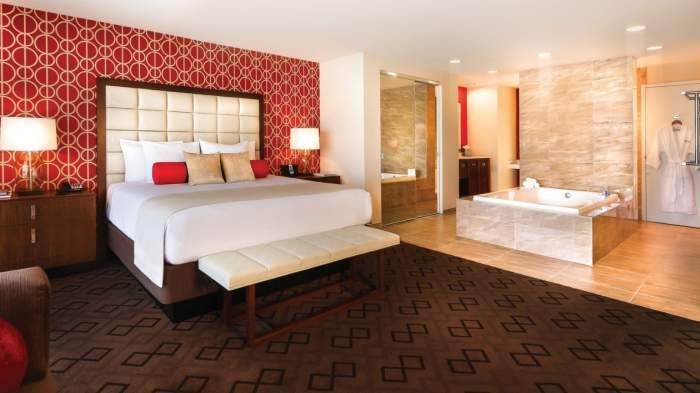 Treat yourself to a BOGO show, BOGO cocktail and a discounted room on top of your premium rewards! For properties outside of the Vegas area the standard 3-in-30 rules currently still apply to all rewards offered at those properties. Most cruise rewards require that you apply the reward at the time you book, or within a certain period after your reservation is made. Some rewards are for select sailings only or are non-refundable for certain limited time offers. I loved that reward! When can I purchase and use it again? Most rewards are limited to “1 per player” per offer period. This is also noted in the Terms and Conditions. This means that you can purchase this reward once each offer period. When the offer period renews you can purchase it again. Offer periods are subject to change based on the availability and our negotiations with our partners. We do this to offer all of our players the best chance to sample all of our great rewards.